As automotive journalists, we have access to a wide variety of test vehicles but we rarely get the opportunity to drive a “base” equipped model. What I mean is that most of the cars we’re handed are top-trim and loaded up to the elevens with every possible feature in the book. You name it: blind spot monitoring systems, active cruise control, Wi-Fi hotspot, ventilated seats, and fancy badges like Platinum and Elite. So it’s a nice change when we are given a car that is more reflective of what the majority of customers purchase. 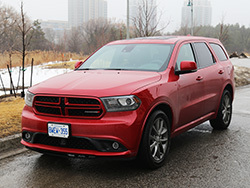 We had the chance to experience the 2016 Dodge Durango SXT last week, which sits right at the bottom of the Durango food chain, followed up by the Limited, Citadel, and R/T models. Equipped with a savage V6 and seating for seven, the “base” Durango SXT is actually one of the better three-row crossovers we have driven. 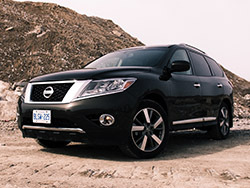 In fact, the Durango plays in a sandbox quite saturated and hotly-contested with other competitors: Ford Explorer, Honda Pilot, Chevrolet Traverse, and Nissan Pathfinder just to name a few. People love them, and it is quite hard to deny the functionality and storage capability provided by these three-row chariots. Think about it – you can drive around with a party of seven and lug around all their bags and suitcases as well. 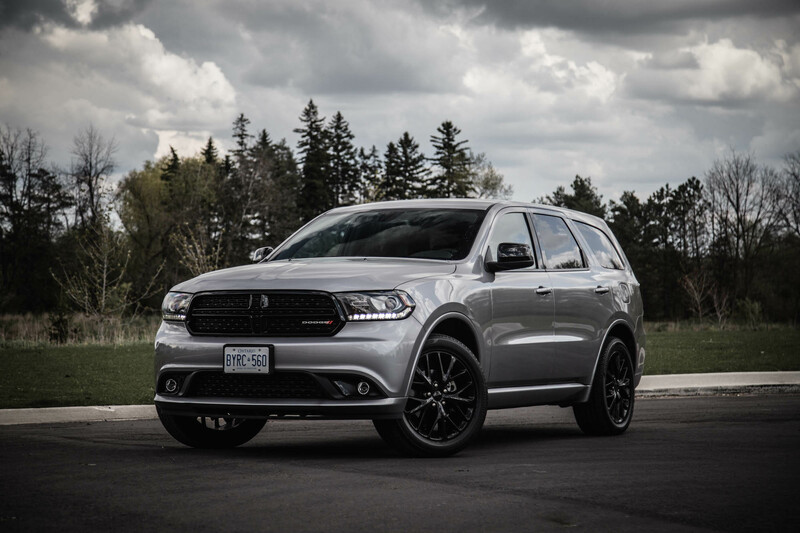 Where the Durango stands out from the crowd is with its athletic character and muscle car stance. 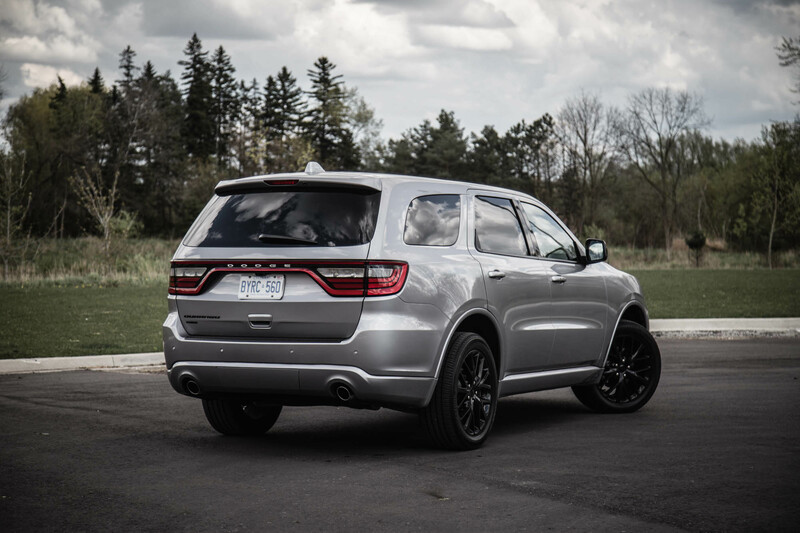 The Durango has always looked sporty, like a Town and Country that took too many steroids. But our particular tester was loaded up with the Blacktop Package ($1,595) that adds a blacked out grill, 20-inch wheels, mirrors, badges, headlamp bezels, bright exhaust tips, and body-coloured panels. Looks pretty sinister doesn’t it? Out back, the Durango also gets the racetrack taillamp treatment with 192 little LEDs giving off that signature glow also found in the Dodge Dart and Charger. We’re in the “base” SXT but there is still a great deal of notable features within. 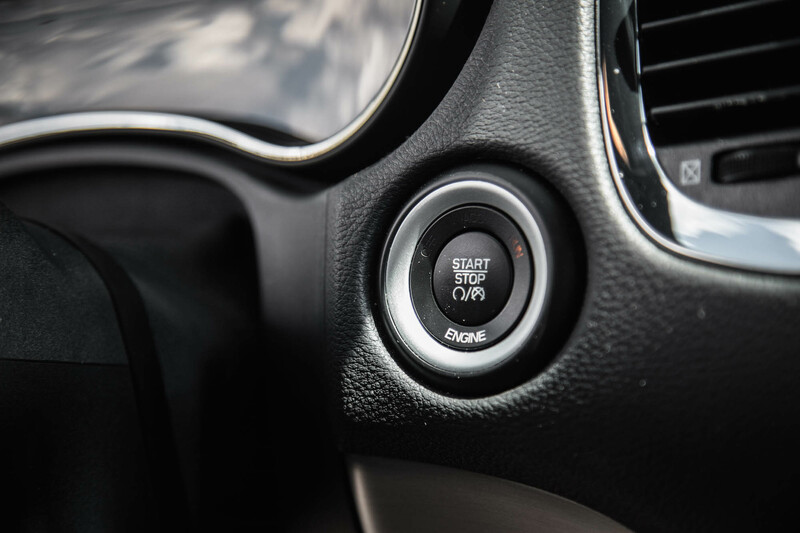 As standard the Durango comes with keyless entry with push button start, a 5.0-inch infotainment screen (though a bigger 8.4-inch screen is optional and highly recommended) that features voice command, and an 8-speed automatic transmission. 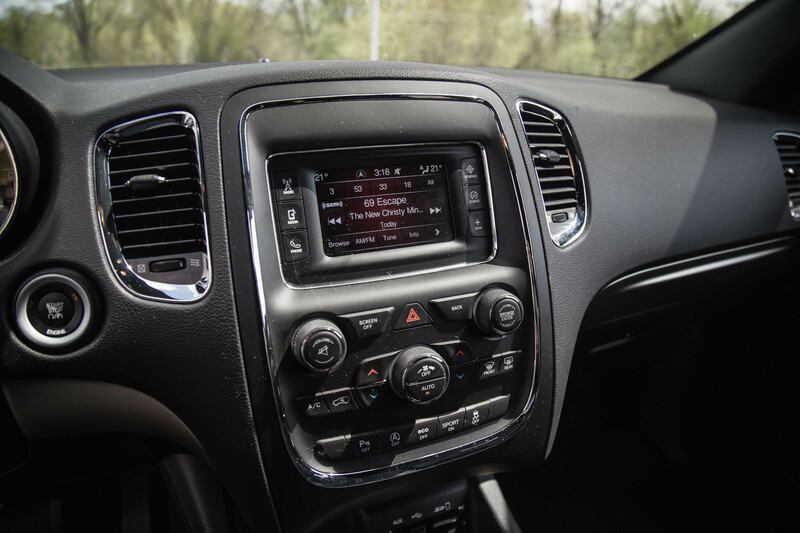 If you live in colder climates or are afraid of the Durango’s daunting size, we would also recommend opting for the Popular Equipment Package ($1,250) that adds park assist, heated front seats and steering wheel, and a rear view camera. 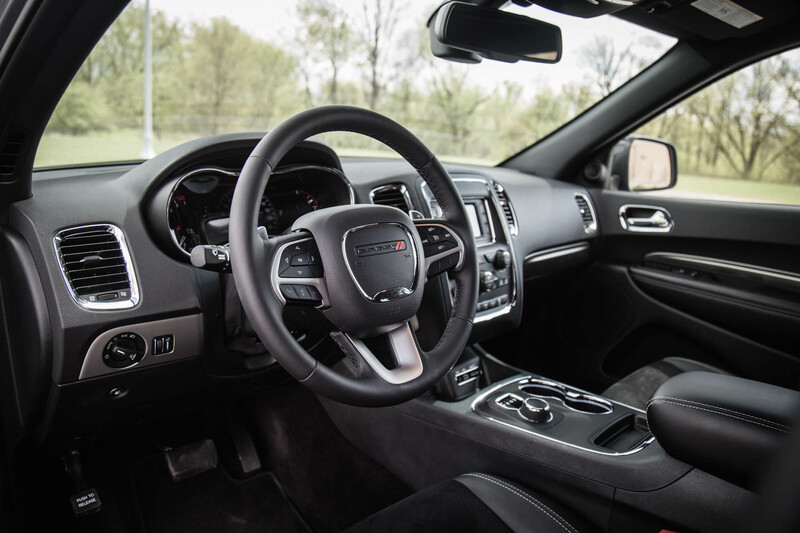 The Durango’s interior is laid out fairly well. The center stack provides a great deal of storage space for your phone, wallet, and other loose items, and the bulky steering wheel is loaded with a plethora of buttons fore and aft and feels wonderful when gripped. The seats are soft and offer great lumbar assistance, though they’re a bit too wide for my slender frame. Larger or wider folks will find it perfect. 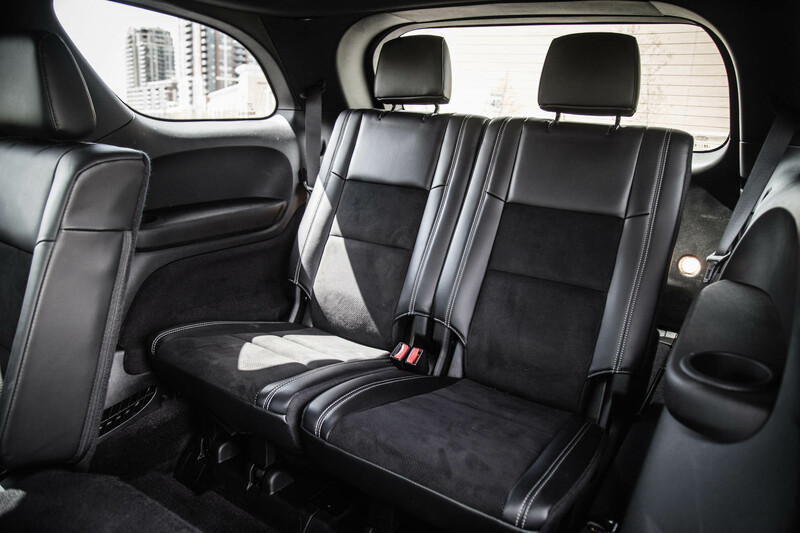 The Durango seats seven passengers, three in the second row and two in the third. The second row seats fold and tumble forward with ease. Averaged size adults might feel a little cramped back there, but it is manageable for short trips to the mall. Work your way up the Durango’s more expensive trims and you might find solace with a premium audio system, heated second row seats, heated and power telescopic steering wheel, power sunroof and liftgate, and a bigger touchscreen, but we were rather content with what our more frugal SXT had to offer. Carried over are two engine options: a 3.6-litre Pentastar V6 and a 5.7-litre HEMI V8 on the R/T model. For 2016, the V6 gets a slight update with a new start/stop system that helps you save a bit of fuel (the engine shuts off when idling, ie. at a red light or when stopped in traffic). Every automaker appears to be adding this feature on their vehicles these days, but who could blame them with the government tightening fuel restrictions. 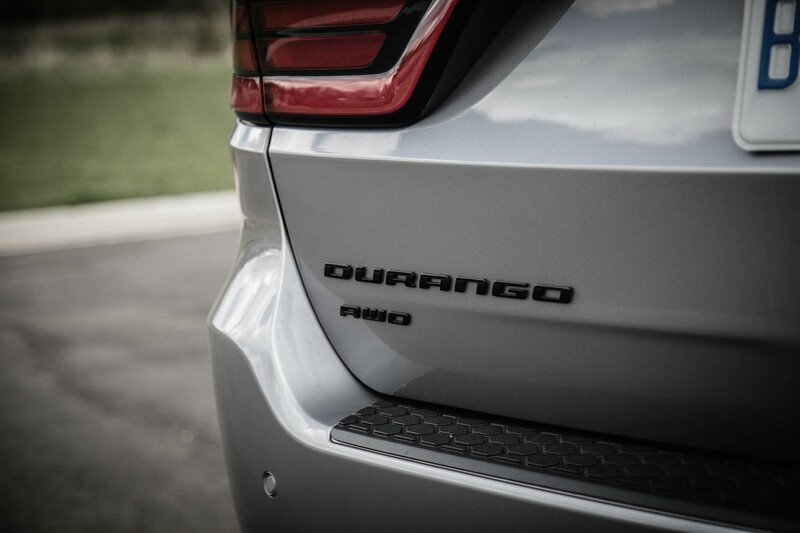 The Durango’s start/stop is very smooth and you will barely notice the transitions between on and off. Even though it offers some fuel savings, the extra few bucks are barely noticeable at the pump; rather it offers more of that instant gratification feeling, like donating to a disaster fund or giving blood. 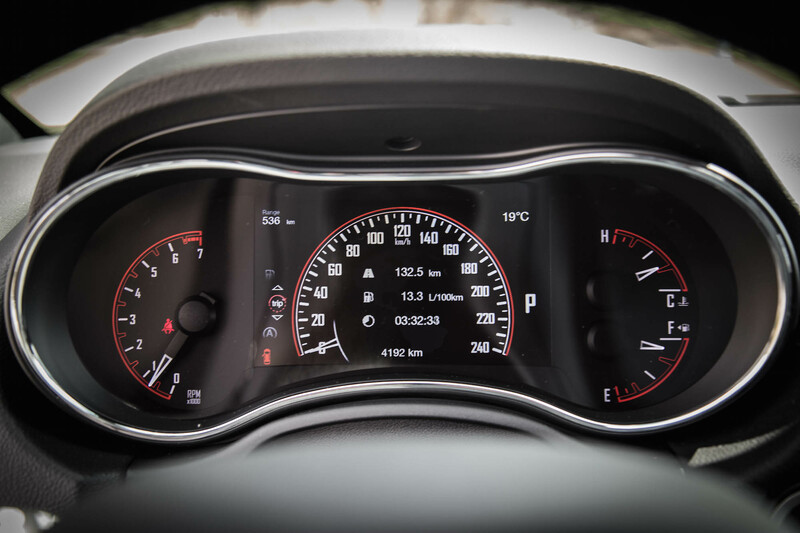 The Durango has also got a massive fuel tank – 93.1 litres to be exact. 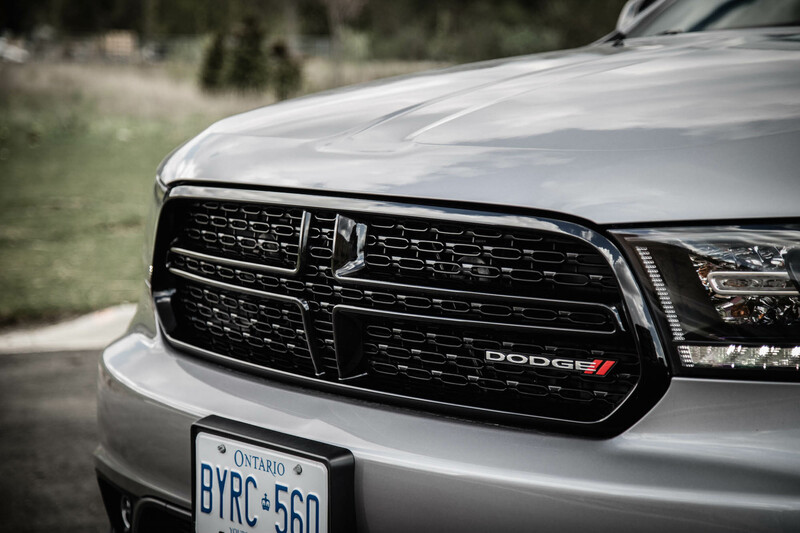 Dodge says that’s enough to last you 950 kilometres if you’re careful with the throttle. Also making a debut on the Pentastar V6 is a Sport Mode that beefs up the steering weight, makes the gas pedal more sensitive, and holds the gears longer for a more dynamic driving experience. There is also an ECO mode that will do the exact opposite. The Durango is easy to drive smoothly – it has light steering and great visibility all around, rendering blind spot monitoring systems moot. The gas pedal is quite sensitive, meaning you’ll have to play delicate so that the 295 hp and 260 lb-ft of torque doesn’t thrust you into a brick wall. However once the car gets going, the power delivery is linear, predictable, and quite potent for a car this heavy. There’s even an engaging exhaust note to match its masculinity. 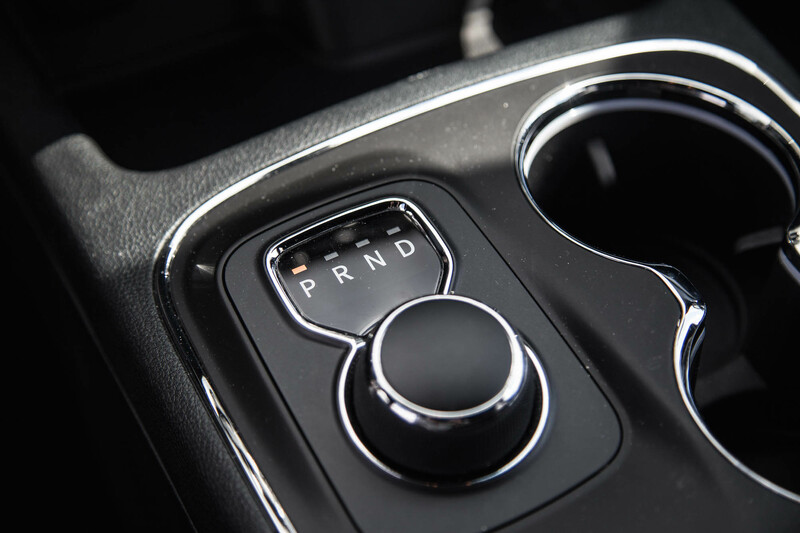 The mated 8-speed transmission is a smooth operator and doesn’t spend too much time hunting for gears, and for those that prefer a bit of manual piloting, the Durango comes with steering wheel mounted paddle shifters. Unsurprisingly, you’re treated with a fair deal of body roll around the corners due to the supple yet bouncy suspension. 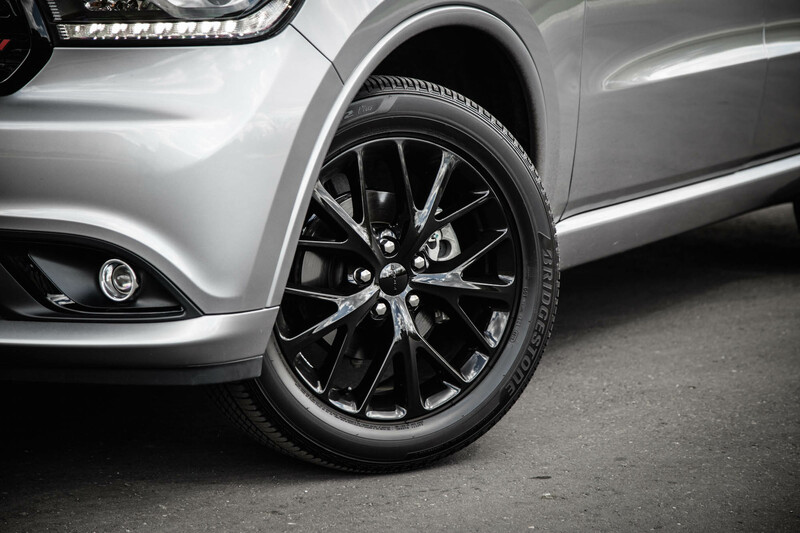 But drive it tenderly and the Durango will gobble up potholes and undulating roads without any issue. It’s not very sporty or dynamic, but it certainly gets the job done. 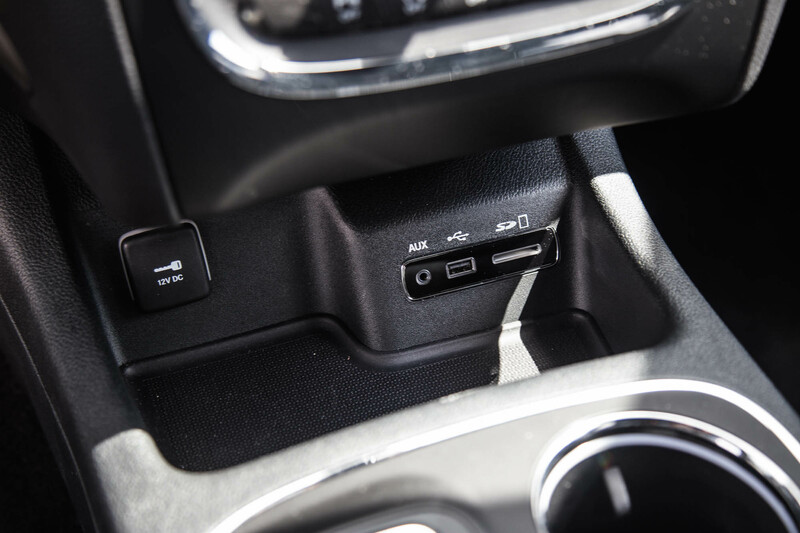 Overall the Durango provides a very honest driving experience without trickery, lag, or electronic interference. 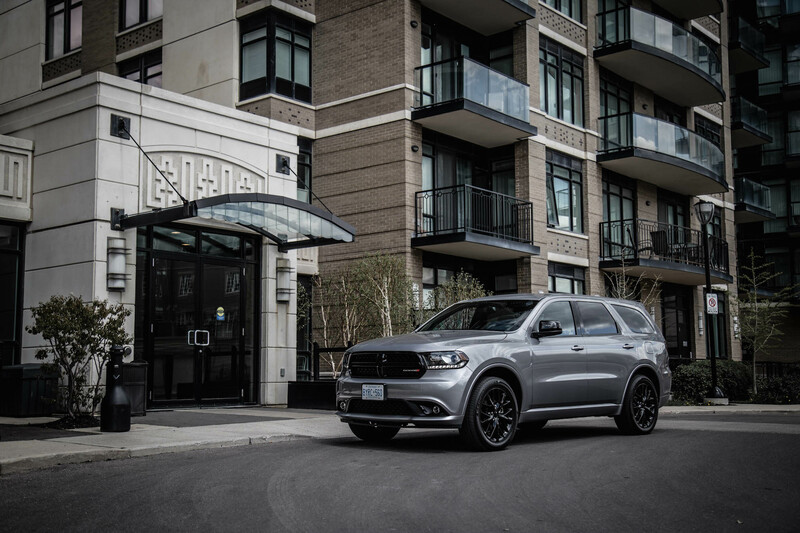 If you are looking for a vehicle that can haul seven passengers and offer enough functionality and capability to fit your everyday needs, then the manly Dodge Durango just might fit the bill. 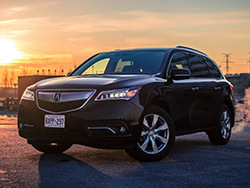 It’s a surprisingly sinister alternative to the ubiquitous (and quite boring) minivan, and also offers a softer ride than the competing Nissan Pathfinder and Chevrolet Traverse. 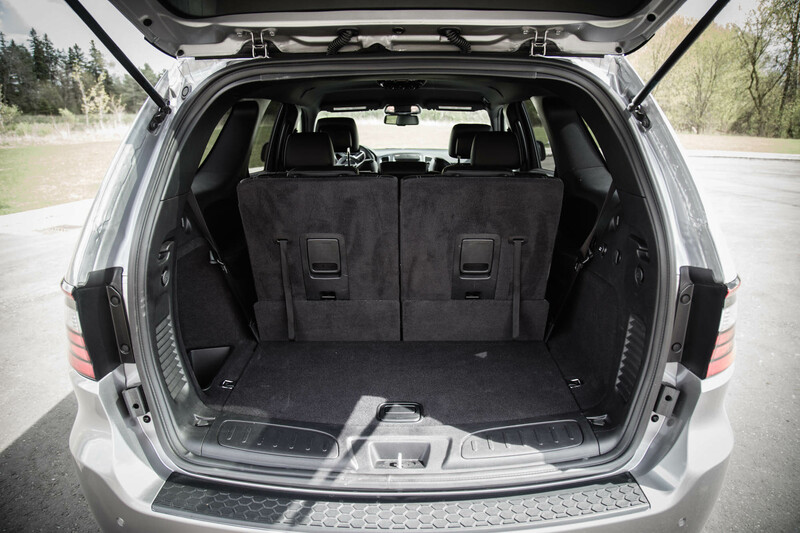 We also think its interior is better laid out and more durable feeling than the Honda Pilot. In all, the Durango is a wonderful piece of machinery. Base model or not, there are enough features and functions on this rig to keep you and your six other passengers distracted and content for the long journey ahead.